Trust us. This isn’t another infamous DARK SOULS trap! In fact, the story only gets better! 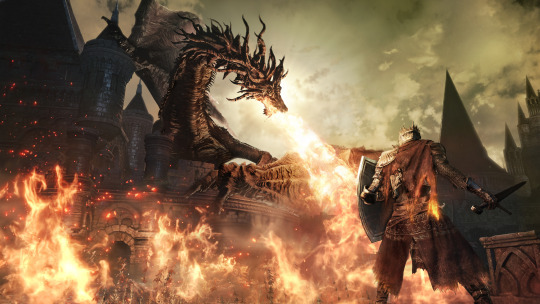 You can also get DARK SOULS III Deluxe Edition for less than $22! Not to mention that in the process you will pick up 8 other Steam games including 3 BANDAI NAMCO gems and the recently released Little Nightmares! 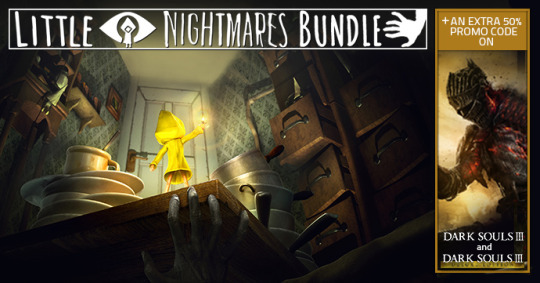 Step 1: Get The Little Nightmares Bundle! Get the 3rd tier of the Little Nightmares Bundle so you can pick up Little Nightmares, 7 other Steam games, and the Coupon Code that works on both DARK SOULS III and DARK SOULS III Deluxe Edition. 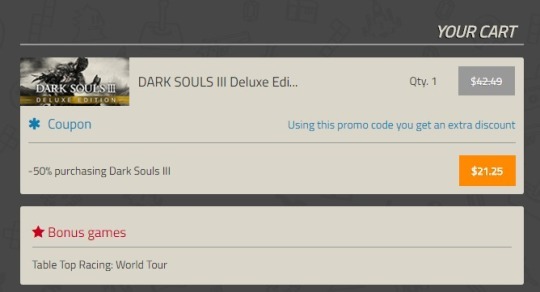 Decide if you want DARK SOULS III or DARK SOULS III Deluxe Edition, apply the coupon code, and voilà! You will have -50% off the game that is already currently discounted for 50% on IndieGala! And yes, you will also get Table Top Racing: World Tour as a bonus game! The clock is already ticking on this offer and remember that it is only valid on IndieGala! Don’t miss your chance to join thousands of gamers who’ve snatched up this deal and the extra juicy bonuses that come with it!